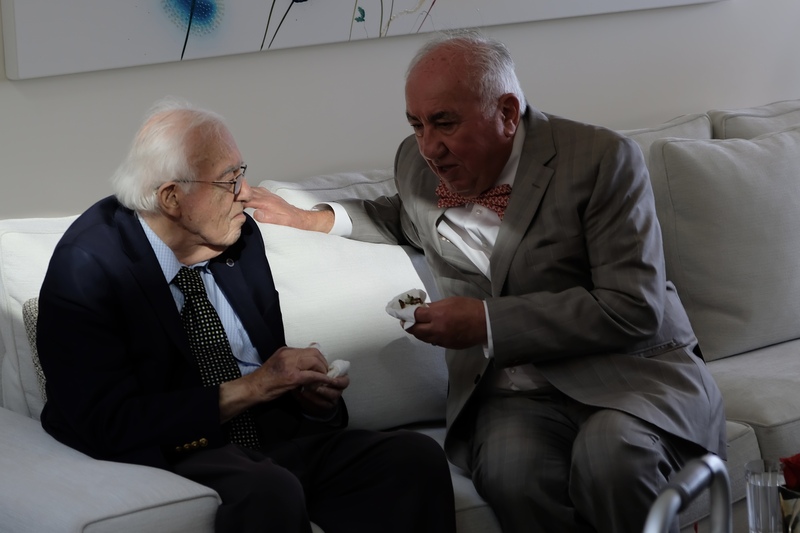 BEVERLY HILLS, U.S. ‒ Bridging the educational endeavors of the American University of Armenia (AUA) with the altruistic support of key community members in the Diaspora, AUA’s devoted Pillars gathered at the home of Yervant Demirjian on Sunday, October 7, 2018 in Beverly Hills, California with a special musical presentation by the acclaimed Element Band. 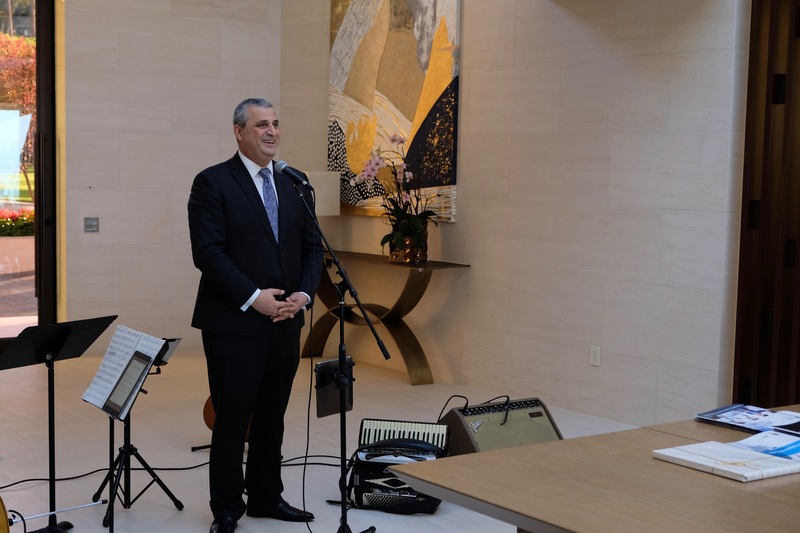 A philanthropist who carries on his family’s legacy of upholding the Armenian community both in Armenia and across the globe, Demirjian, an AUA Pillar, stressed the significance of education for Armenia’s advancement during his opening remarks to guests. “Acquiring knowledge is the only way to change one’s destiny,” said Demirjian. 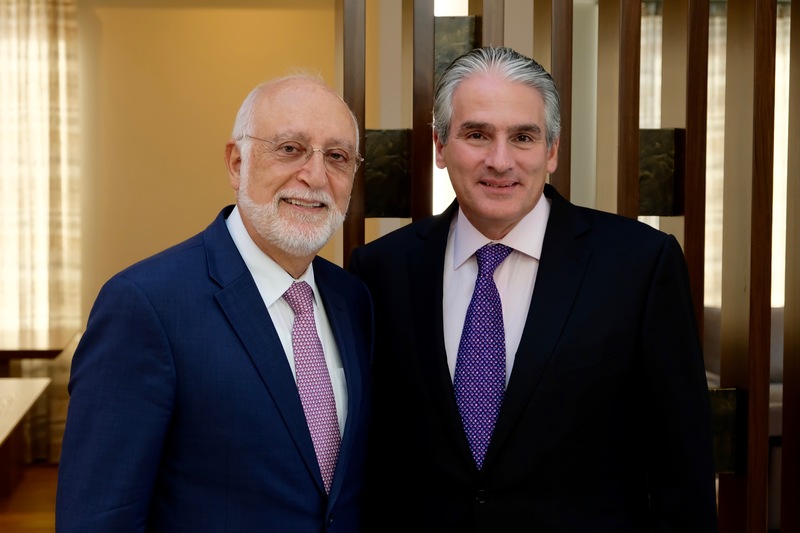 He noted that the 100 Pillars of AUA, an innovative group of donors who have pledged $50,000 over the course of 5 years, are the “intrinsic” foundation of the University. 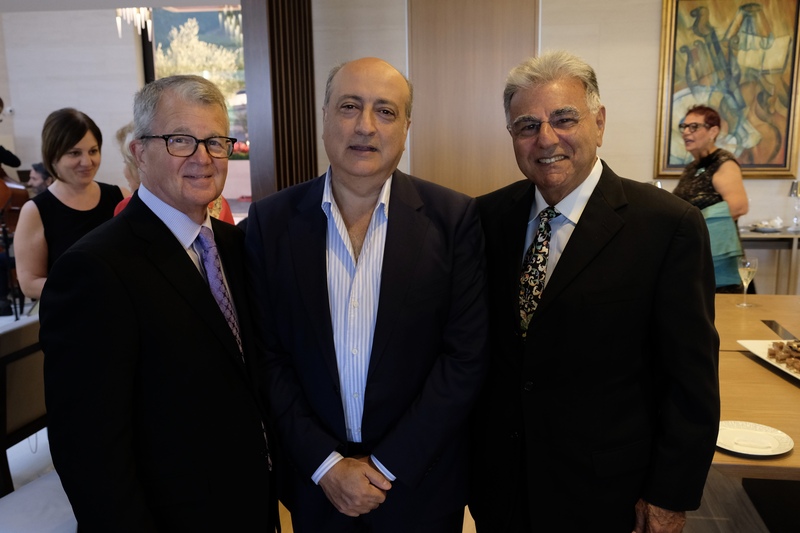 In his opening remarks, AUA President Dr. Armen Der Kiureghian, co-founder of AUA, recognized the presence of Dr. Mihran Agbabian, who established the University with him and the late Stepan Karamardian after Armenia’s tragic earthquake in 1988 and served as its Founding President. The University, which opened its doors on Armenia’s independence day on September 21, 1991, has remained a steadfast beacon of progressive change in the country for the past three decades. “AUA prepares future leaders of Armenia,” said Dr. Der Kiureghian, and noted that many alumni are now involved in high level roles in the government of the Republic of Armenia. He spoke of the developments on campus thanks to the 100 Pillars of AUA program, which provides unrestricted funds to attract the most intelligent students and esteemed faculty, promote a technologically advanced campus, and maintain a need-blind admissions policy that allows over 50% of students to receive financial assistance. Pillars have also given AUA the opportunity to bolster its endowment, which is managed by the University of California, and has increased threefold over the last four years. Dr. Der Kiureghian elaborated on the strong partnership with the University of California system, which provides in-kind contributions by rendering advice in the legal, human resources and financial fields. Above all, the 100 Pillars of AUA campaign, which is targeted to conclude by next June after securing 100 donors, is helping usher in a visionary chapter as it sets itself as a leader in Armenia’s fastest developing sector ‒ the world of science and technology. Recognizing the rapid development of the IT industry in Armenia, which has grown by a rate of over 20% according to the World Bank, AUA recently established science and tech-related degree programs and courses to the benefit of the country’s students and young citizens, including new Bachelor of Science degree programs in Engineering Sciences and Data Science, as well as a Master of Science degree in Strategic Management. Support from outside the Armenian community was highlighted as well, including the new Student Union, Faculty Center and Amphitheater that were unveiled on campus last month and were funded by the American Schools and Hospitals Abroad Program (ASHA) of the US Agency for International Development (USAID). The number of students studying at AUA from abroad has also multiplied, enrolling a historic high of 233 from the U.S. and 28 other countries. 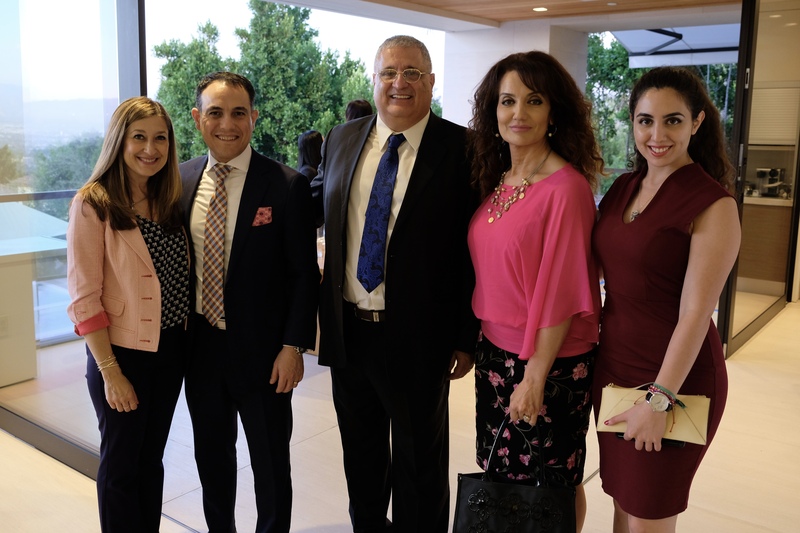 Dr. Der Kiureghian recognized the pillars in attendance, including Yervant Demirjian, Zaven and Sonia Akian, Mihran and Elizabeth Agbabian, Vigen and Houry Ghazarian, Sinan and Angele Sinanian, Karekin and Zhanet Kaprielian, Nareg Aghjayan along with his parents Adour & Arsho, David Esayan and Susan Jerian, Noubar and Tracy Ouzounian, Kris and Pamela Ascher Mirzayan and the Munushian Trust represented by Gary and Arsine Phillips. 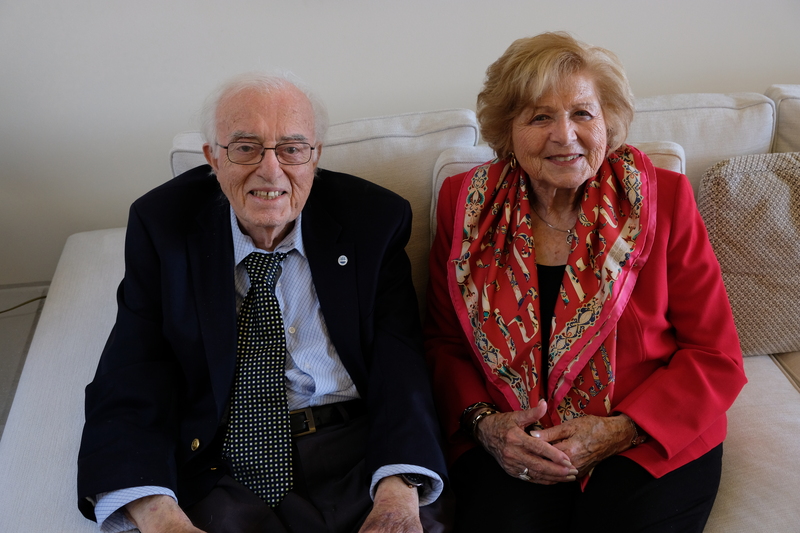 Dr. Der Kiureghian and his wife, Nelly, were also one of the first pillars to join the program. 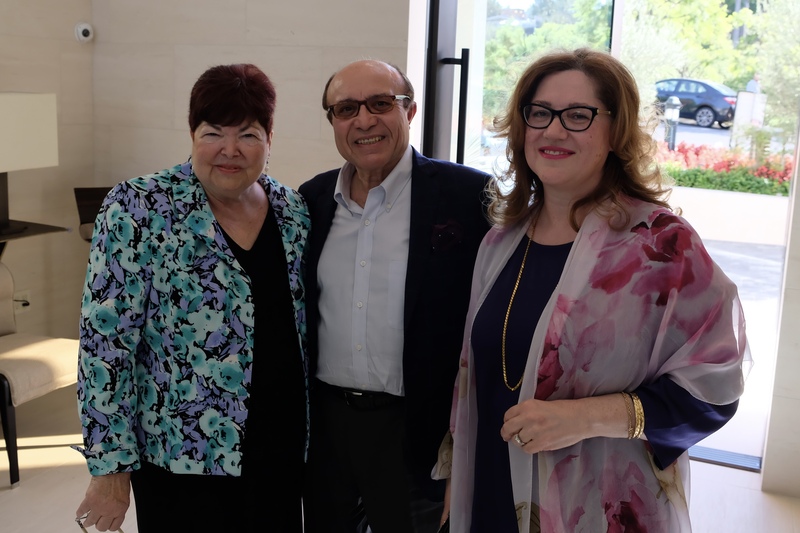 In the spirit of the inspiring environment, Dr. Der Kiureghian announced newly joined Pillars Razmik Grigorian, Caro and Rebecca Minas as well as Golden State Bank (represented by Phil Elghanian, Tom Byington and Gerard Kassabian). 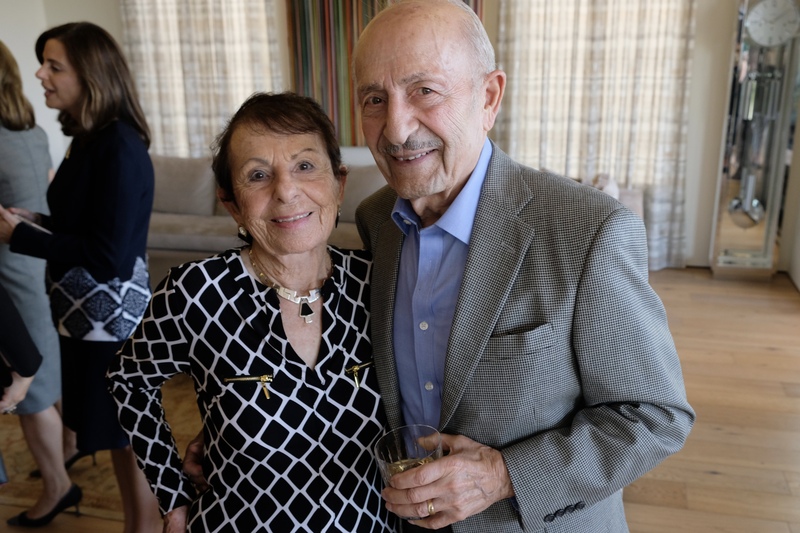 He also introduced several individuals who intend to join, including Hratch and Helga Sarkis, Vahe and Armine Meghrouni and Diane Barsam, whose father, Vartkes, was one of the university’s founding trustees and a major donor to the institution. 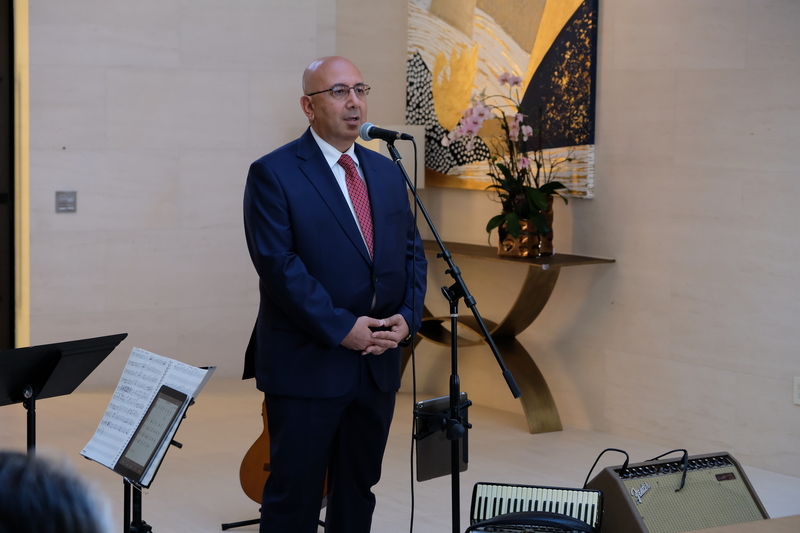 Representing the government of the Republic of Armenia, remarks were made by the former Armenian Ambassador to the U.S., Grigor Hovhannisyan, and the Consul-General of Armenia to Los Angeles, Dr. Armen Baibourtian, who both reflected on the impact of AUA in Armenia. Recalling the year AUA was founded in 1991, Dr. Baibourtian remarked that the University “helped move the devastated country forward” and that the newly independent government “considered AUA a priority” during its establishment as it brought a new culture to Armenia through educational knowledge, thus uniting the society. On display throughout the afternoon were two unique paintings on transparent organic glass by contemporary Yerevan-based artist Arev Petrosyan. They were available for silent auction to raise funds for AUA’s “Yes! Armenian Women Can” campaign, which provides scholarships for female students studying computer science and engineering. As the former Arts and Culture Commissioner in Glendale, Razmik Grigorian described the artworks that are in the mixed media technique filled with gold and silver leaves in 24 karat gold on plexiglass as he highlighted the active role of the artist in women’s rights and issues in Armenia and noted that 50% of the proceeds would benefit AUA and the other to the artist to continue her work. 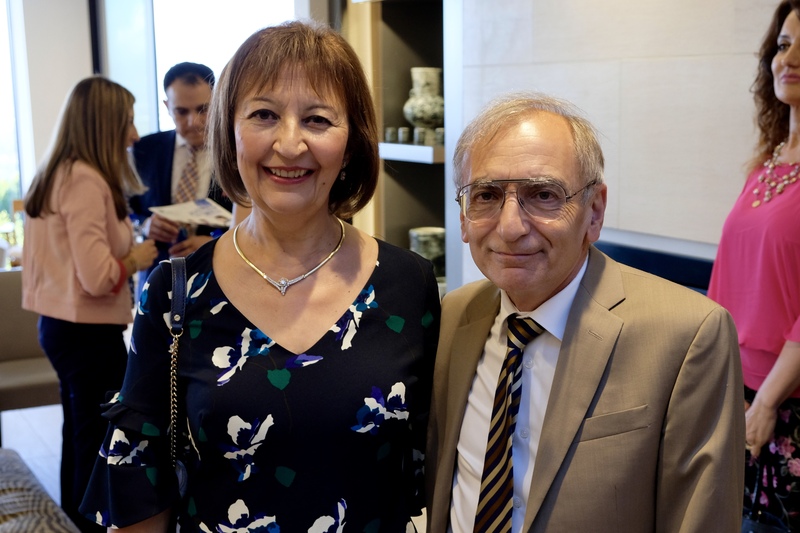 Connecting the worlds of Armenia and California, AUA alum Stepan Khzrtian, Esq., who graduated with a Master of Laws (LL.M.) in 2010, spoke from personal experience as a student on campus, thanking the donors in the room. “I have directly benefited from your generosity and I express my great appreciation for your support,” said Khzrtian. 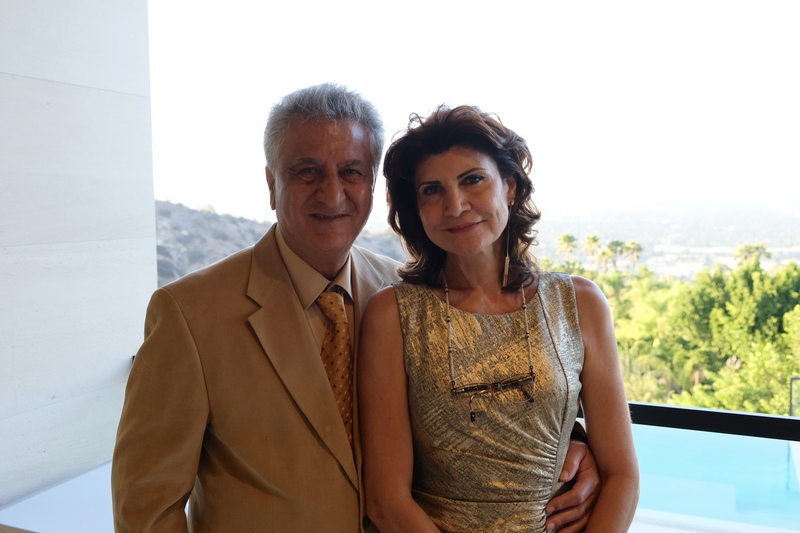 Leading offices in both Yerevan and Los Angeles, Khzrtian’s ties to his alma mater and homeland remain strong. 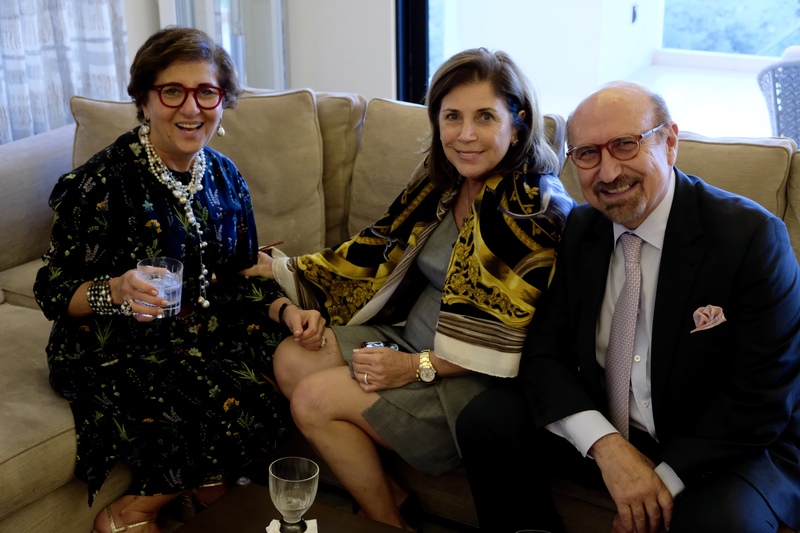 He was recently on hand at the launch of the AUA Technology and Innovation Legal Clinic, sponsored by the Armenian Bar Association, and carries with him the knowledge and lessons he learned as a student. 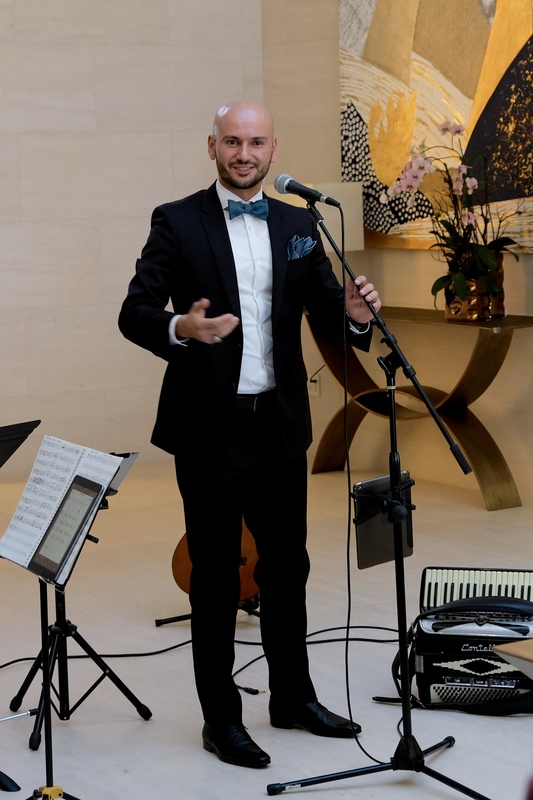 Perfectly exemplifying this crossroads of the East and West was a performance by the renowned Los Angeles-based Element Band, whose artistic mission is to present traditional Armenian music on the world stage through its trademark modern fusion twist. 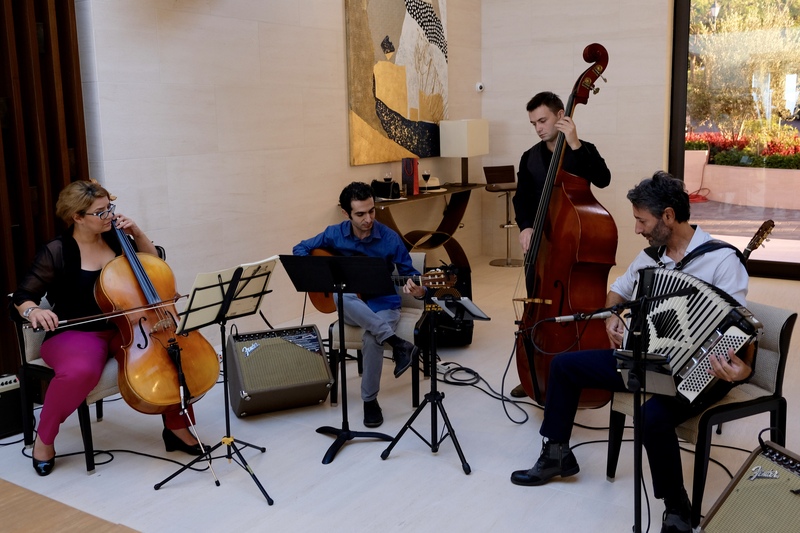 Led by founder Ara Dabandjian, who played the guitar and accordion, he was joined by Armen Manavazyan on contrabass, Aragas Abramian on guitar and Mahsa Ghassemi on cello as they played a multitude of songs evoking enjoyment, nostalgia and the Armenian spirit. Element Band, which formed 14 years ago, recently performed a sold-out concert for over 1,000 at the Ford Amphitheatre in Hollywood and has long been known for its distinct and alluring music that is accessible to the world at large, while preserving the roots of traditional Armenian music, artfully complementing the mission of AUA. AUA Alum Stepan Khzrtian, Esq.